Sheer femininity, this light-as-air chemise is fit for a woodland nymph. No-sew construction, the piece was nuno felted with just wool fibers and silk — the seams were formed through felting alone. 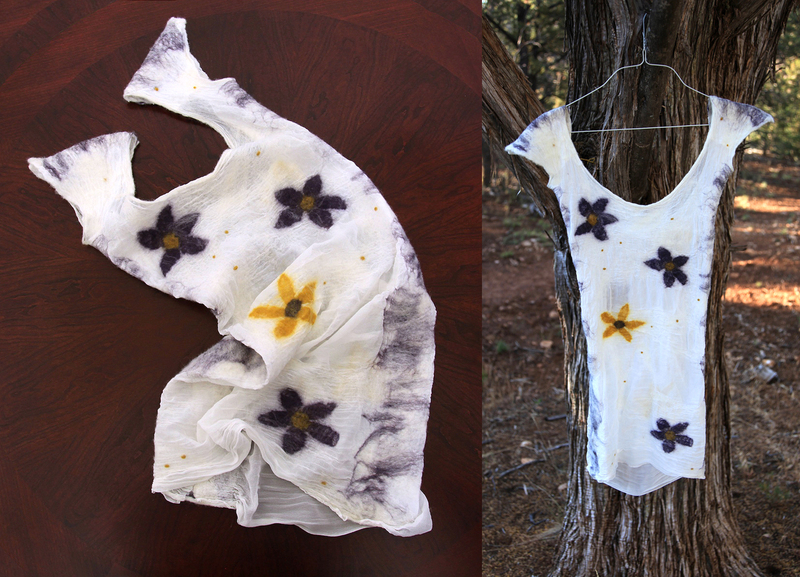 Before summer ends, I'd like to make a matching camisole to be worn underneath this one-of-a-kind piece. This lightweight nuno felted scarf with matching pin will take you fashionably into fall! The design is a mosaic of butterscotch, yellow, blues, and brown — a great color combination to wear with your favorite pair of weathered blue jeans. 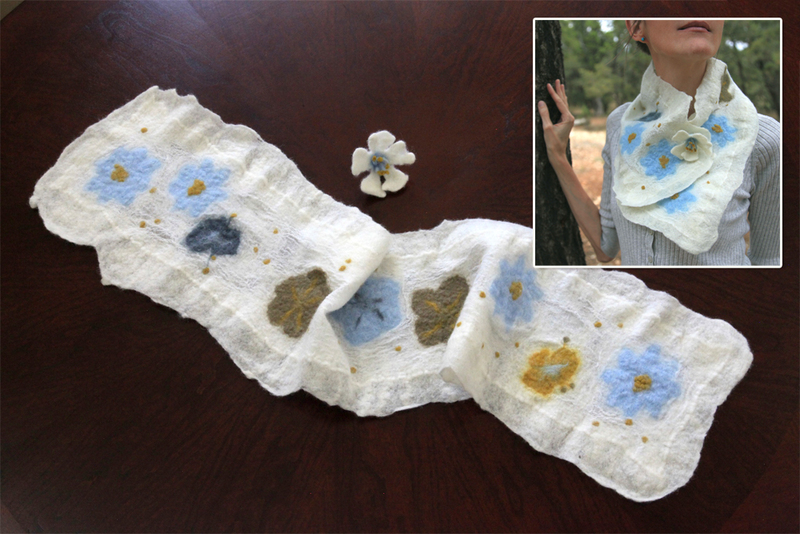 This flowery lightweight scarflet comes with a matching felted pin allowing you to drape the piece just so and hold it in position all day. Nuno felting combines silk with wool fibers (soft Merino is preferred) to create beautiful flowing fabrics which lend themselves to apparel items and home textiles. 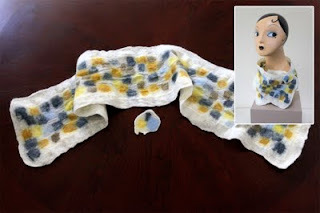 If you'd like to learn how to nuno felt, consider taking a workshop with me and my fellow textile artist, Jen Marshall, at the Grand Canyon this fall. We'd love to have you join us — click here for details.